Good morning Snackers! 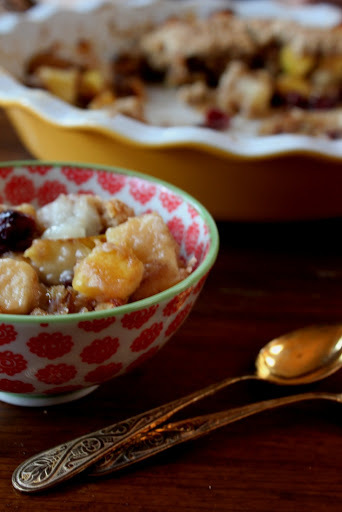 How I wish that today for breakfast I had a bowl of this Apple, Pear and Cranberry Crumble! Perhaps with a dollop of Greek yogurt or a drizzle of half and half over the top. 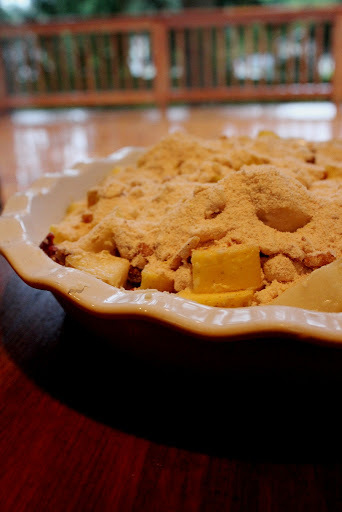 Alas, the crumble is long gone. I baked it as a last-minute dessert for my brother Misha, to celebrate his birthday. I think he liked it! 1. Preheat oven to 375°F. Lightly butter a 12-inch round pie pan. 2. 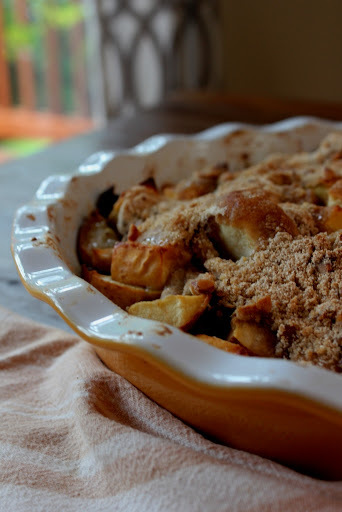 Combine apples, pears, cranberries and 2 tablespoons of the flour and spread evenly in the pie pan. 3. Combine remaining 3/4 cup flour, sugars, walnuts, salt, cinnamon, lemon zest, lemon juice and butter in a bowl and mix together well with your hands, breaking up the butter with your fingers. Make sure the butter doesn’t break down completely. 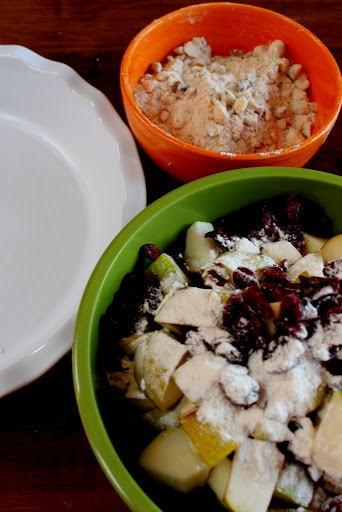 Sprinkle the mixture on top of the fruit. 4. Cover the pie pan with with aluminum foil and bake for 20 minutes. 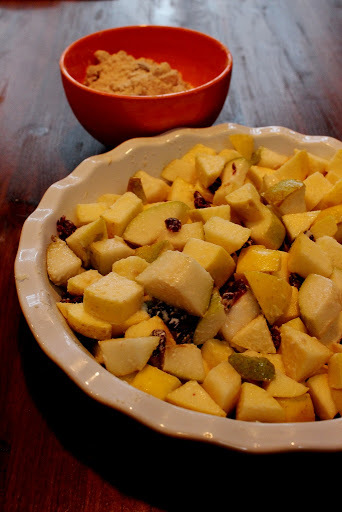 Remove the foil and bake for additional 20 minutes more, or until golden on top and fruit is soft and bubbling.